Even the most go-getting, upbeat, coffee-fuelled professional will have productivity problems at some point during a work project and if you’re the person in charge of the project, it’ll be up to you to spur them on. 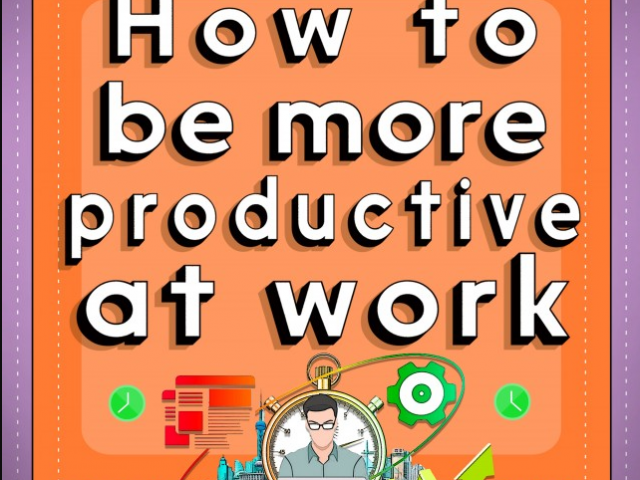 The infographic above showcases ways for the average worker to be more productive on a day-to-day basis, but there are some special measures that managers should implement when they need a specific project to be finished. Training: A sense of responsibility can motivate anyone, so if someone asks for more responsibility on a project then give them the training necessary to handle it. Accountability: You could make the task list visible to all team members through project planning software, like that offered by Timewax, so that everyone can see which tasks still need completing and by whom. You’d be surprised what a little internal pressure can do. Communication: Set out when and how you want project updates (i.e. by email every Tuesday at 1 pm) so that no one is able to shy away from discussing a problem with you. Avoid Micromanaging: It massive hinders an employee’s productivity (not to mention their self-confidence) if they feel that someone is watching their every move, so take a step back and remember that you gave them this task because you felt they could handle it. Achievable Goalsetting: Handing someone a large task which is due at some distant point in the future can be overwhelming, lead to procrastination, and eventually to a rush job. Instead, why not try to break up the project into several smaller ones with their own interim deadlines? Regular Feedback: If you are receiving small parts of the project at regular intervals, then make sure to provide timely, constructive feedback and praise good work. What did you think of these ways for a project manager to increase productivity on their team? Have you used any of these? Let us know in the comments below.